Threatened by billion-dollar lawsuits arising from investment treaties, several governments have formed a new grouping to deal with transnational companies. A ministerial meeting of 12 countries held in Guayaquil, Ecuador, decided on several joint actions to counter the threat posed by these lawsuits, which have claimed millions or even billions of dollars from governments. “No more should small countries face lawsuits from big companies by themselves,” said Ecuador Foreign Minister Ricardo Patino at a media conference after the meeting which he chaired. Seven of the countries, mostly represented by their ministers of foreign affairs, trade or finance, adopted a declaration with an agreement to form a conference of states affected by transnational interests. They are Ecuador, Bolivia, Cuba, Nicaragua, Dominican Republic, St Vincent and the Grenadines as well as Venezuela. Representatives of another five countries (Argentina, Guatemala, El Salvador, Honduras and Mexico) also attended the meeting and will convey the results to their respective governments. The ministers decided to set up an executive committee, initially led by Ecuador to coordinate political and legal actions including sending information on legal disputes involving the states, coordinating joint legal actions and disseminating information to the public. The tribunals, such as ICSID (based at the World Bank in Washington), have also been accused of being mired in conflict of interest situations. Only a few arbitrators hear a majority of cases, with many of them also appearing as lawyers for companies in other cases, and some being board members of transnational companies. The ministers also decided to create an “international observatory” to monitor and analyse investment cases, to reform the present arbitration system and suggest alternative mechanisms for fair mediation between states and transnational companies. The meeting had been prompted by serious concerns arising from investment cases taken by transnational companies against the governments under bilateral investment treaties and free trade agreements that enable these companies to sue for loss of future profits due. For example, to new government regulations or a cancellation or amendment of a contract. There have been more than 500 known investor-to-state cases, 60 alone in 2012. Some countries in the region, such as Argentina, Ecuador, Venezuela and Mexico each had 20 to 30 cases taken against them. Disillusionment with the agreements and the arbitration system has prompted a variety of actions by governments such as the suspension of negotiations for new treaties, attempts to renegotiate or withdraw from existing treaties, and withdrawal from the jurisdiction of the ICSID tribunal. Ecuador Vice-President Jorge Glas Espinel briefed the meeting about two arbitration disputes taken against his government by oil companies under bilateral investment treaties (BITs), and on the tribunal judgments which in his view were unfair and even outrageous. In one of the cases, Ecuador was asked to pay US$2.3bil (RM6.98bil) compensation (including interest) to the American oil company Oxy even though the arbitrators recognised that the company had broken the terms of its contract with the government. A background note explaining the reason for the meeting said that arbitration proceedings and claims by European and US multinational companies against a growing number of states of the South have dramatically in­­creased. These costly litigations, the majority of which were decided in favour of the investors, not only affect the states’ fiscal situation but pose a serious challenge to their national jurisdiction and sovereignty. The costly litigations also compromised on-going development plans in Latin America and other regions. 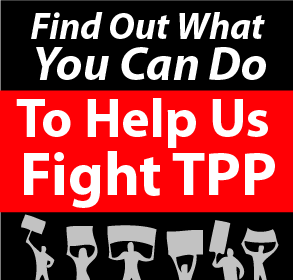 ← Can a “Dracula Strategy” Bring Trans-Pacific Partnership into the Sunlight?